Many technical faults that occur with making and receiving calls is often not because of a problem with the actual phone system but with the handsets themselves. If you are becoming frustrated because your desk phone isn’t functioning how it should, then before you start looking into new expensive phone systems, firstly check that all the handsets you are using are working to their full potential. Features such as screen display, a hands free speaker facility or just extra buttons for the phone to show you when other people are busy or even just a function to ring your most called contacts are simple adjustments that can be made in order to get your phone functioning more efficiently. If it is more a problem that the phone simply is not working properly, then this could be down to general wear and tear. one of the most common faults is to lose the voice connection to the person you are talking to intermittently, this is more than likely down to the connections in the curly cord that connects the handset to the phone going faulty. You can easily find out yourself if this is the fault simply by swapping the curly cord cable with one of the phones which is working fine. If the fault moves with the cord then you will know the fault is on the actual cord which can be rectified by ordering a replacement curly cord for the make and model of the handset. If the phone is faulty and it turns out not to be the curly cord then we would recommend contacting us to obtain a price for a refurbished replacement and possibly consider sending the faulty phone away for repair. If you do decide you want to upgrade the handsets to ones with more functionality, then simply contact us and advise us what make and model you are looking to upgrade to and we will be happy to check the availability and costs for you of the more highly featured phones available for your telephone system and offer free advice by reply. 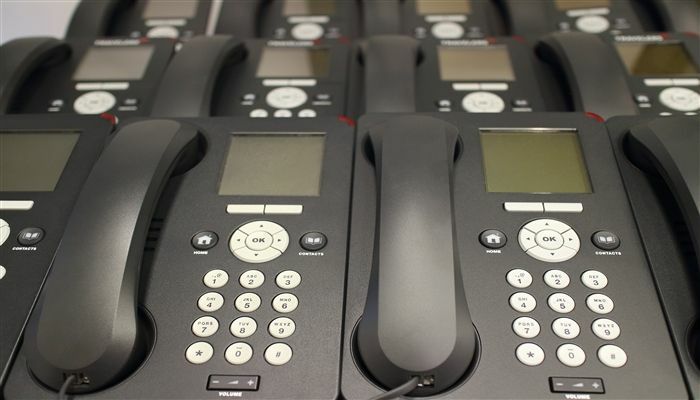 We hope the above information is useful to you, if you would like assistance in understanding your best options then please contact us on 0800 50 533 50, alternatively you can download our telephone systems buyers guide as useful reference material or even run a quick quote to obtain a budget cost for a new telephone system in less than 60 seconds by clicking here.